I already wrote about one way to cook radishes: as a component in a refreshing spring pasta. 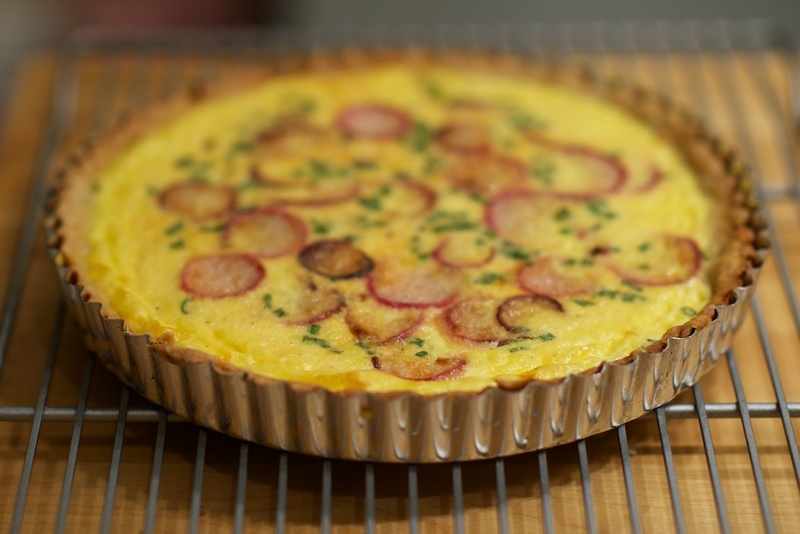 Another way to incorporate radishes into a complete meal is by baking them into a quiche! I wasn't planning on taking pictures of this quiche, because frankly I didn't think it would be photo-worthy, between my dough mishaps and the fact that making a quiche takes hours. I didn't want to set up and arrange photos at 9:30 instead of eating. 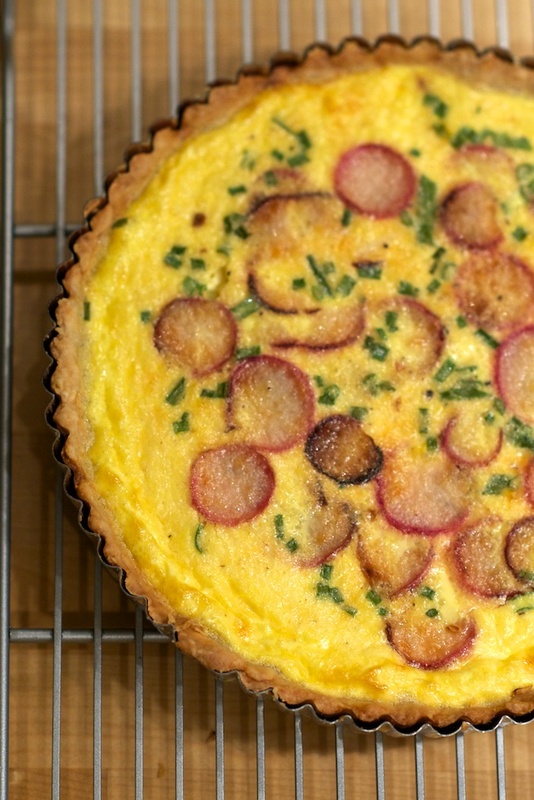 As it turns out, quiche is a perfect subject for food photography. 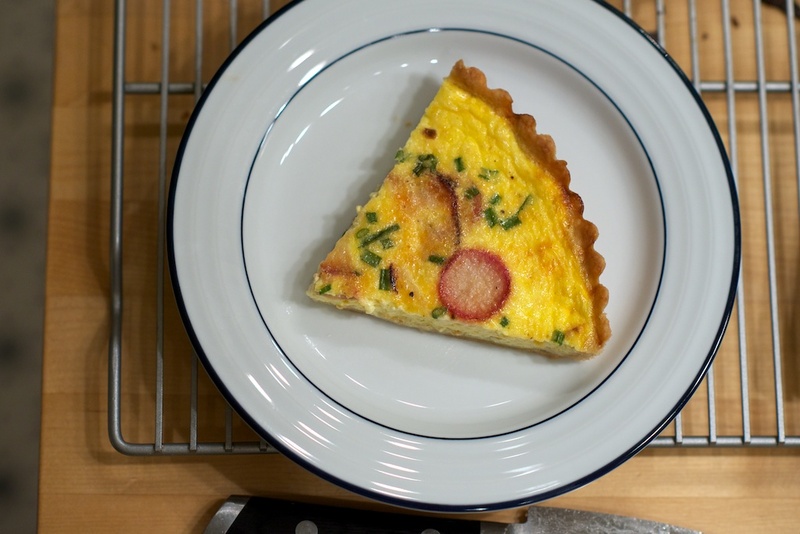 When you take a quiche out of the oven, it still needs to set before you can cut into it, allowing ample time to both admire and photograph it. I didn't publicly share any New Year's resolutions on this site, but it's time to let you in on one goal. 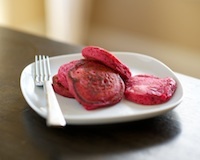 In 2012, I resolved to understand the multiple ways to cook with and prepare eggs, the best ways to achieve each technique, and go-to recipes that incorporate eggs. 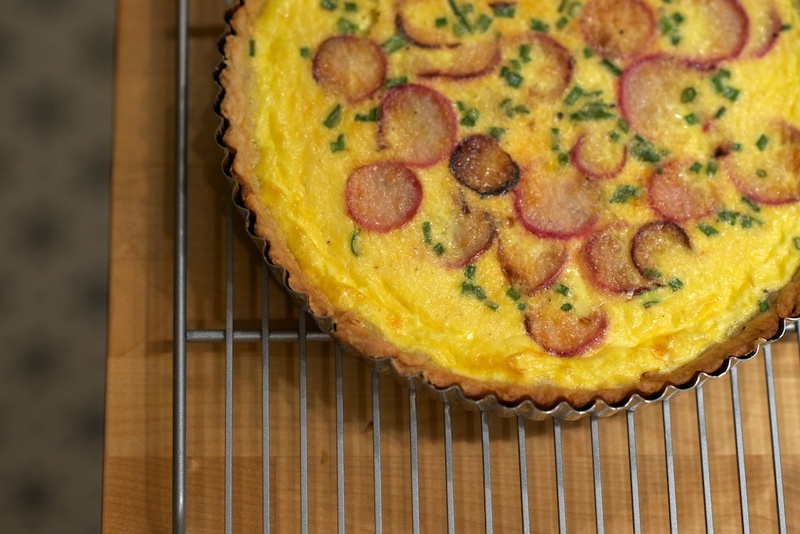 This quiche is just one attempt in a long line of future egg dishes over these next several months. Once I'm satisfied with the results of my egg dishes and feel like I can replicate them over and over, I'll be sharing my insights with you in my future 'egg series', along with appropriate seasonal recipes. 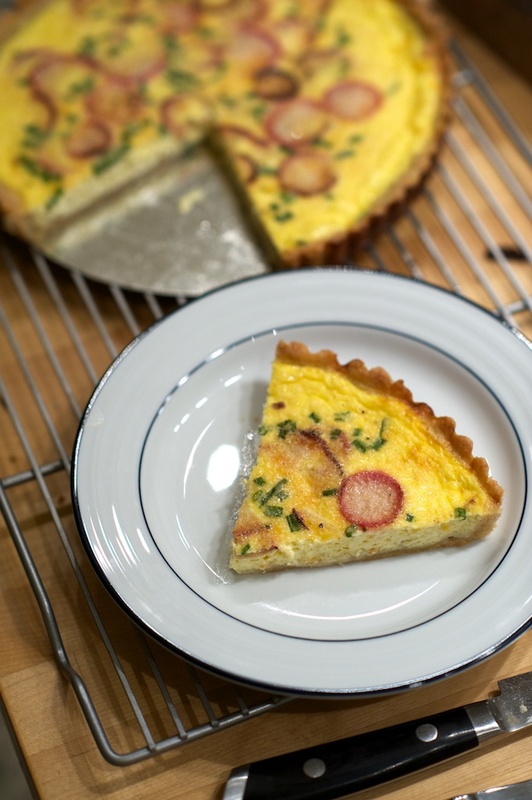 If you're suddenly craving a slice of quiche after looking at the pictures, I recommend the America's Test Kitchen Feed blog as a helpful guide with step-by-step photos.